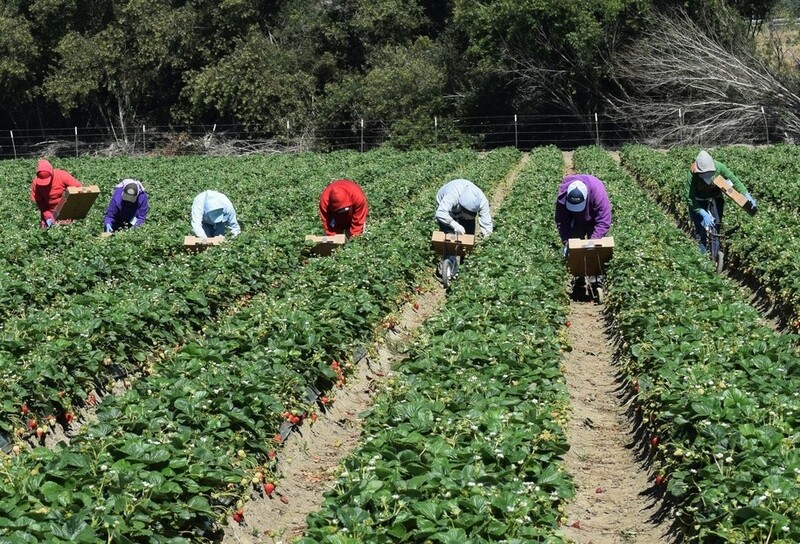 The California legislature has passed a bill that would give farmworkers the same overtime protections as other workers. Now the question is whether Gov. Jerry Brown, who has not taken a position on the proposal, will sign the expansion from the state’s current law, which requires employers to pay time-and-a-half after farmworkers put in 10 hours in a day or 60 hours in a week. Other workers get, and farmworkers stand to get, overtime pay after eight hours in a day or 40 in a week. The Assembly rejected the proposal in June, when eight Democrats opposed it and another six refused to vote. In what Gonzalez has described as an unprecedented move to revive the bill, she worked around the Legislature’s rules and reinserted the proposal in another bill, angering Republicans who objected to the breach in procedure. Gonzalez waged a social media campaign to pressure her Democratic colleagues to back AB1066; agreed to compromises to win votes, including giving small farms an extra three years to pay more overtime; and led a squad of Democratic allies in a 24-hour fast paying homage to the weeks long fast that legendary farmworker activist Cesar Chavez staged when the “Salad Bowl” strike of 1970 initially failed. Federal law excludes agricultural workers from overtime protections, so California is already ahead—but these workers deserve the same protections and rights as everyone else. This article originally appeared at DailyKOS.com on August 24, 2016. Reprinted with permission. This entry was posted on Thursday, September 8th, 2016 at 6:42 pm. You can follow any responses to this entry through the RSS 2.0 feed. You can leave a response, or trackback from your own site.